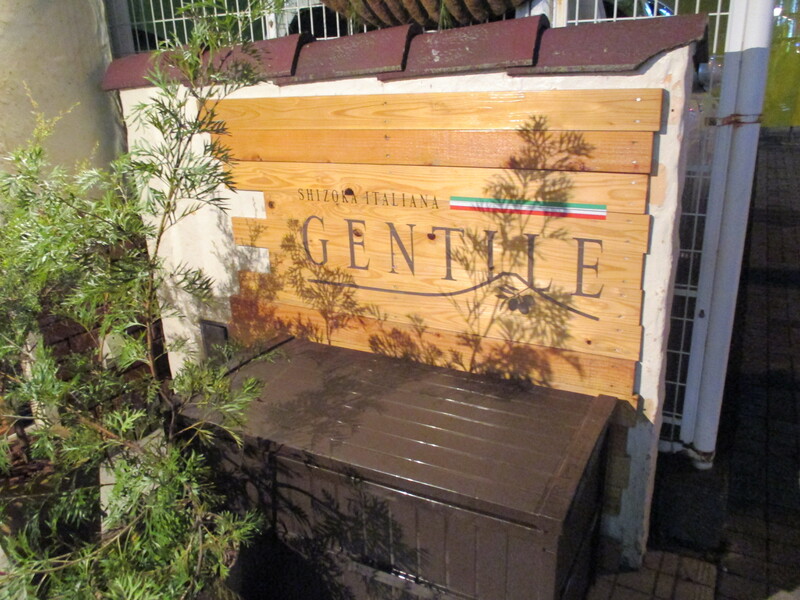 Italian Cuisine: Dinner at Gentile in Shizuoka City! Equipment & Facilities: spotless clean. Superb washroom. Entirely non-smoking. 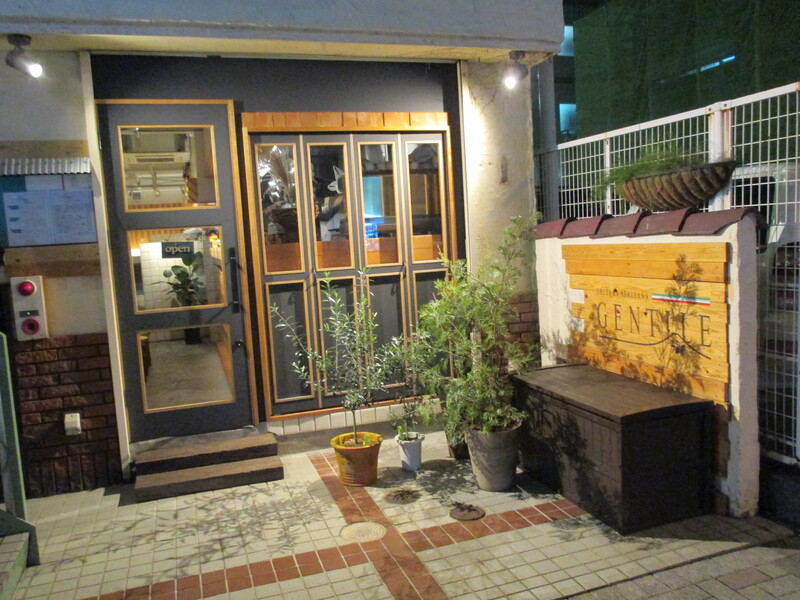 We finally found the opportunity to visit Chef/owner Masaru Aoki’s new Italian Restaurant, Gentile, in Shizuoka City! 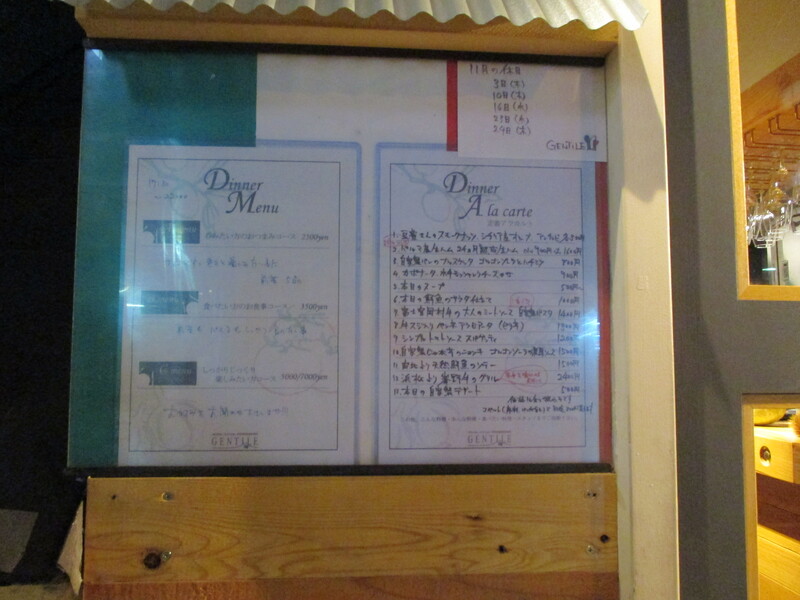 It is located where another Italian restaurant stood in the vicinity of Isetan whose owner suddenly had to go back to Tokyo for family reasons. 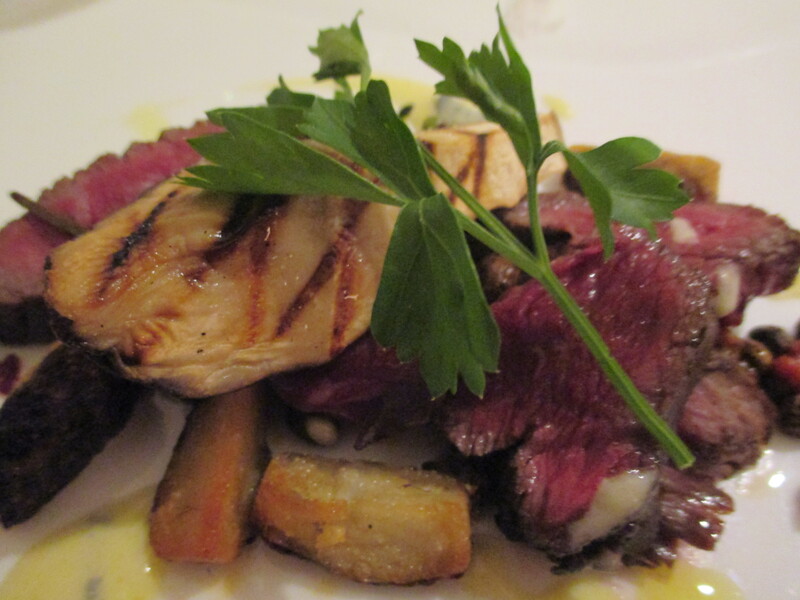 You had better reserve as this place can become very busy, especially at lunch time! 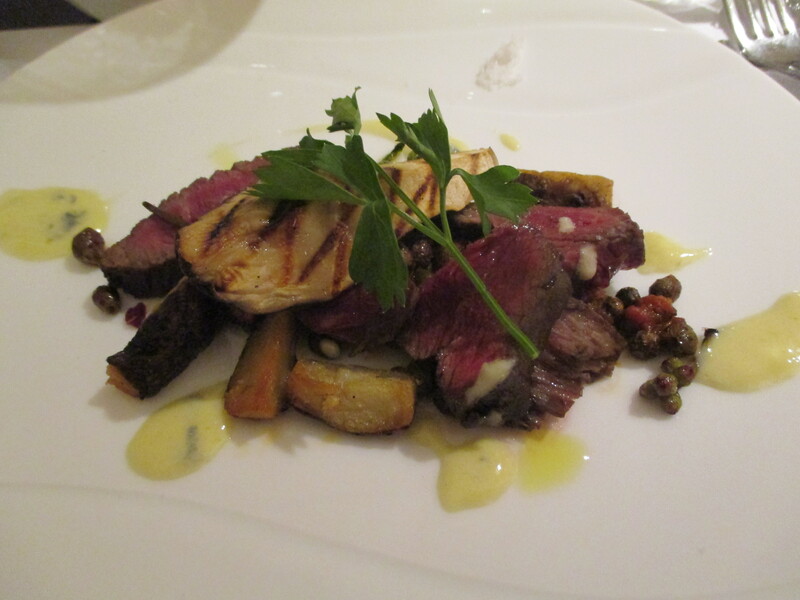 For dinner you can choose between set courses or individual dishes a la carte, or just come for a drink! 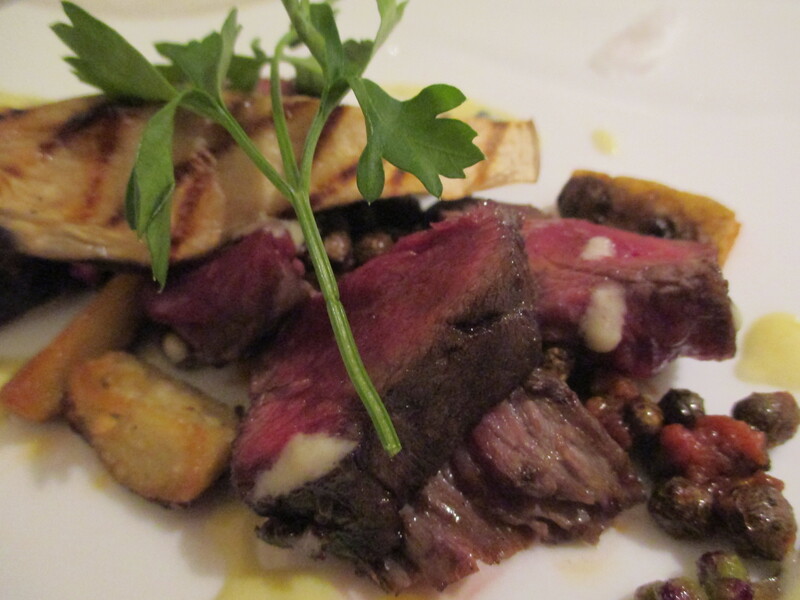 It has completely refurbished along a triple concept. 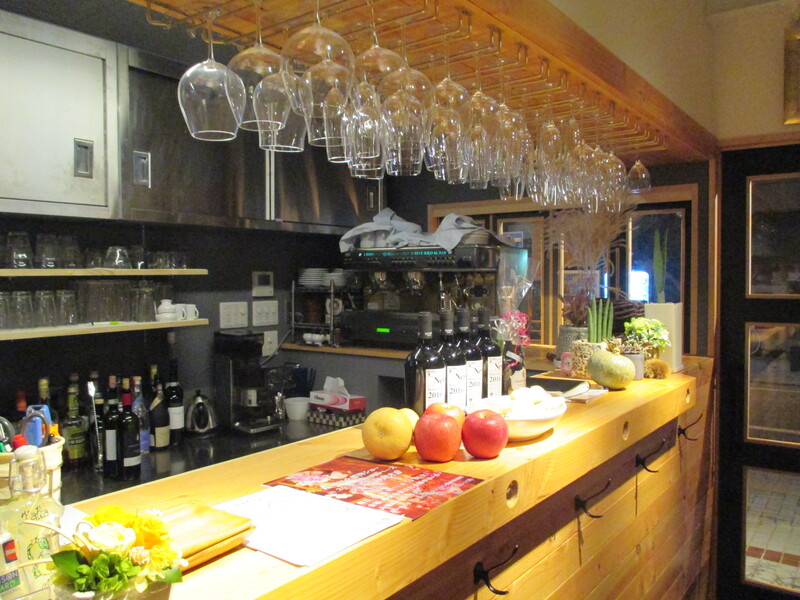 First a standing bar for customers only willing to partake of wine or spirits. 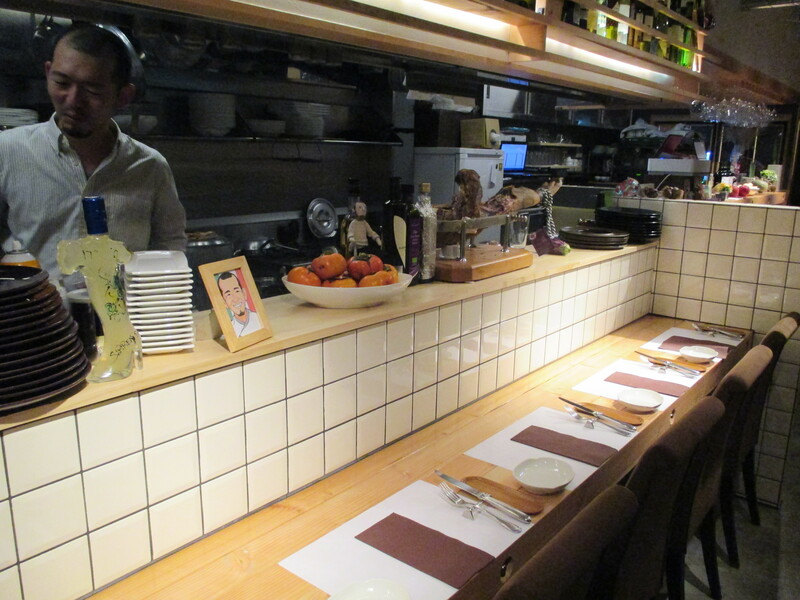 A counter with chairs for guests who come alone or wish to share a word with the chef and his sommelier. 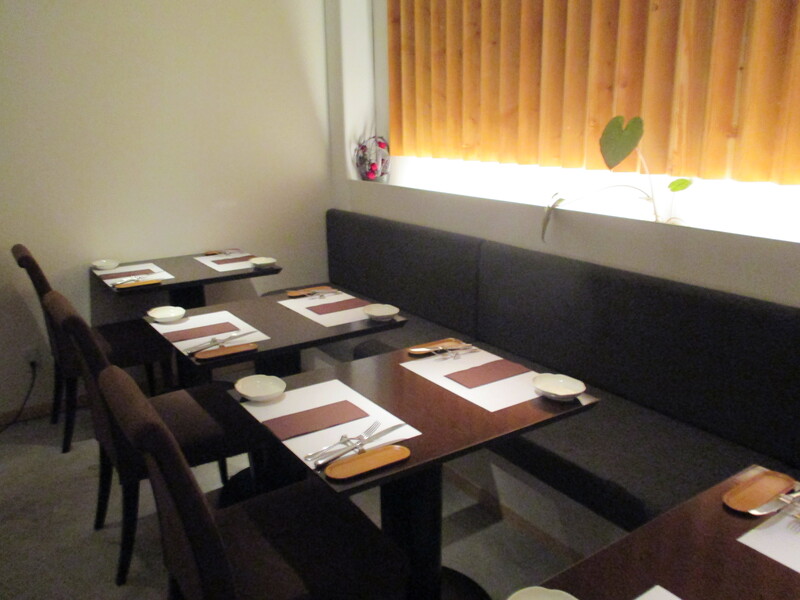 Third tables with sofa and chairs for couples or groups wishing for more private comfort! 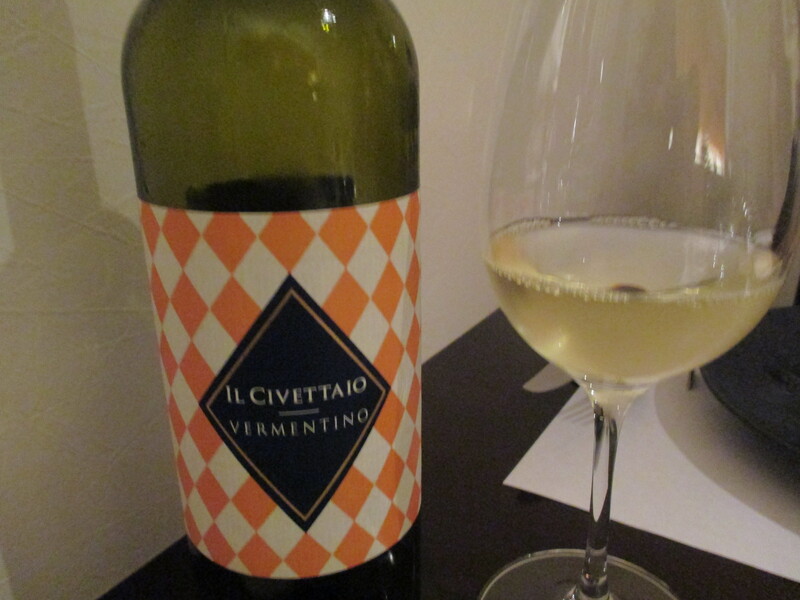 As for white wine (after a glass of Italian sparkling wine) we first ordered a bottle of Il Civettaio, Vermentino! 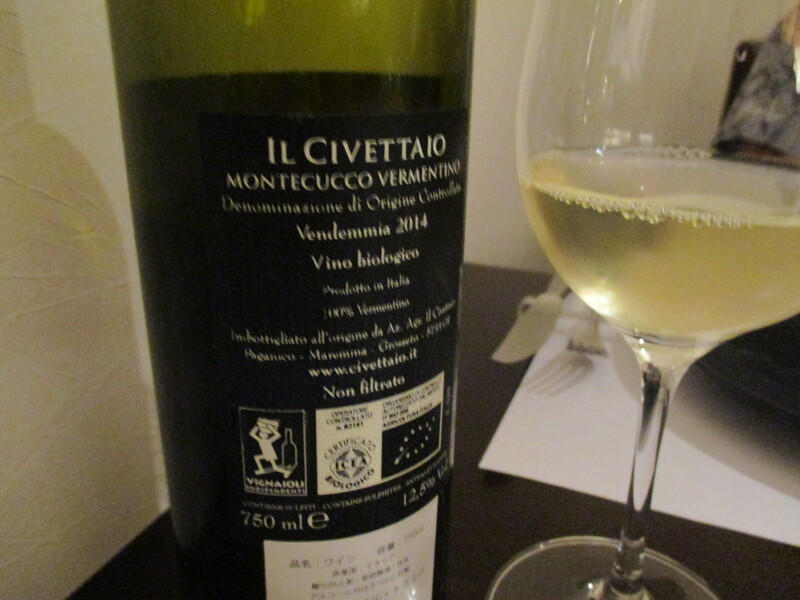 An unfiltered biological white wine with a beautiful color, splendid aroma and superb balance! 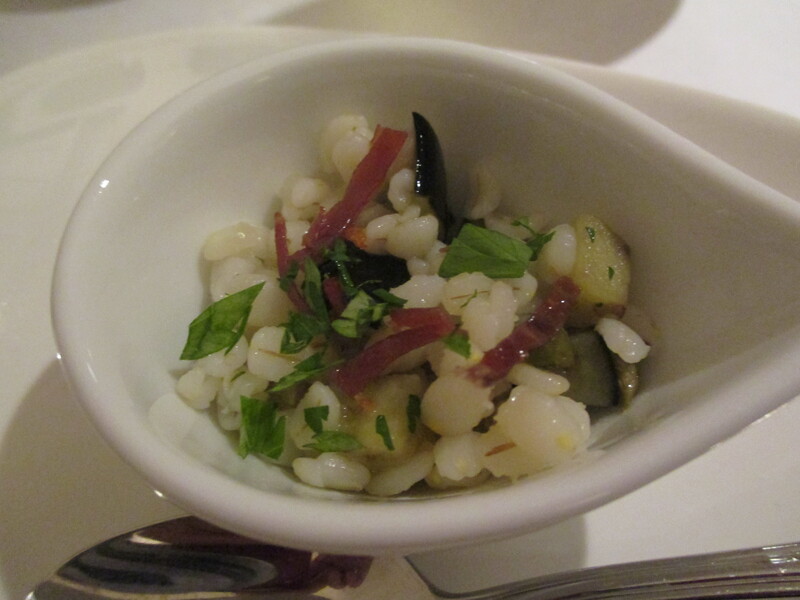 To accompany the sparkling wine we were offered a light salad made of finely cut local vegetables and wheat! 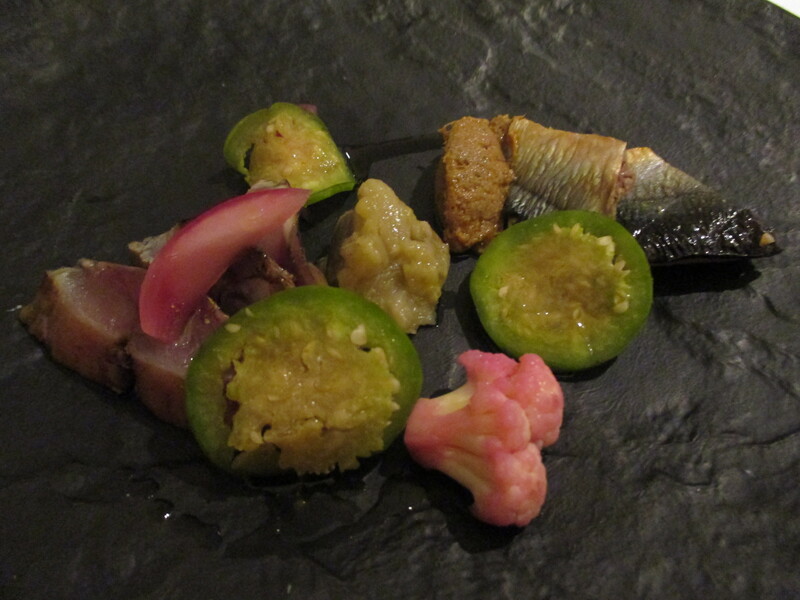 The first dish consisted of seared saury pike and sauteed horse mackerel from Suruga Bay and local marinated vegetables! 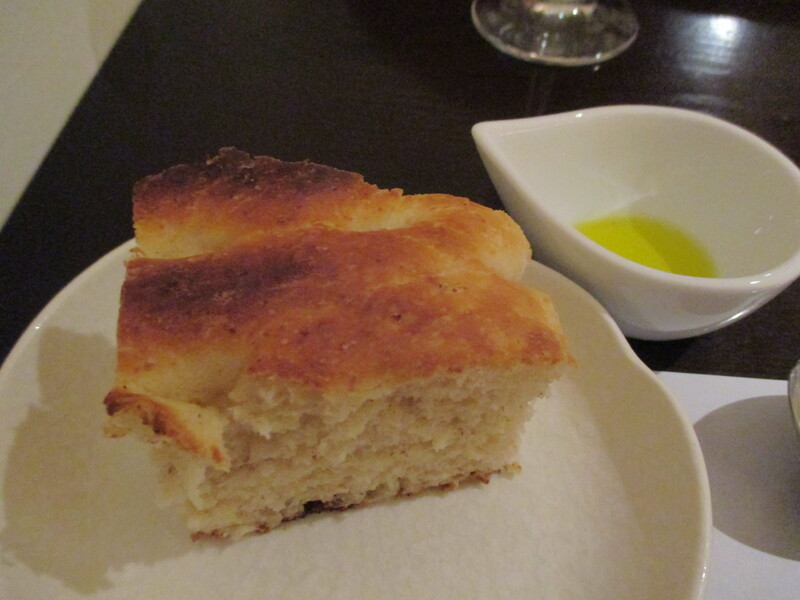 Of course all the bread is house-baked! 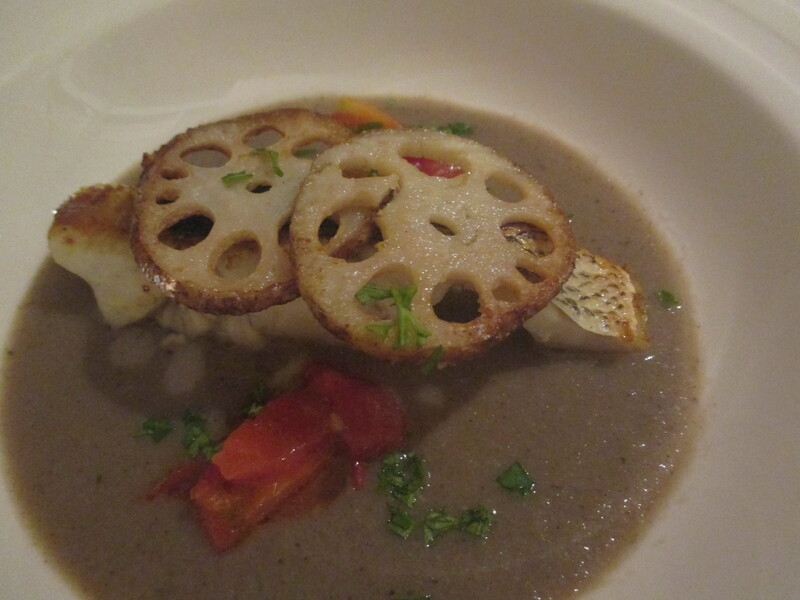 A dish difficult to find even in Tokyo: Sauteed black bass with renkon/lotus root from Asabata District in Shizuoka City! 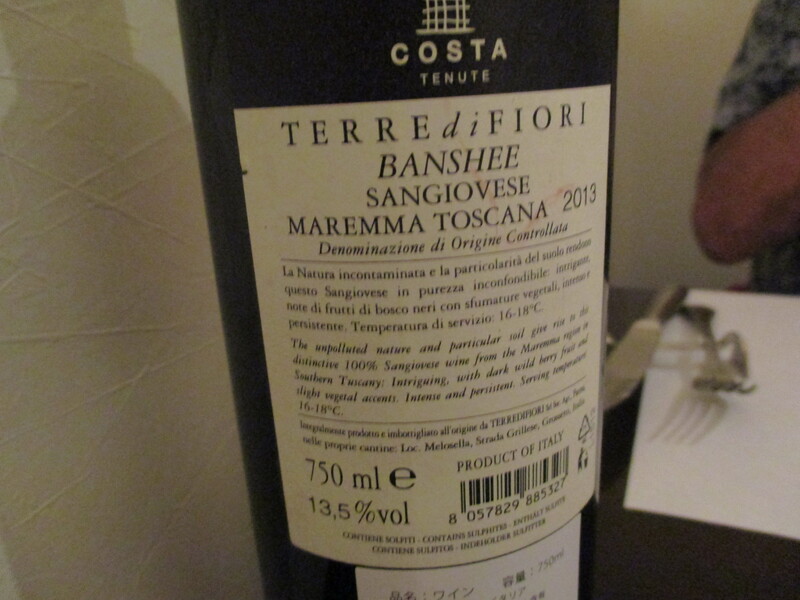 A nectar with an unusual name, Banshee! 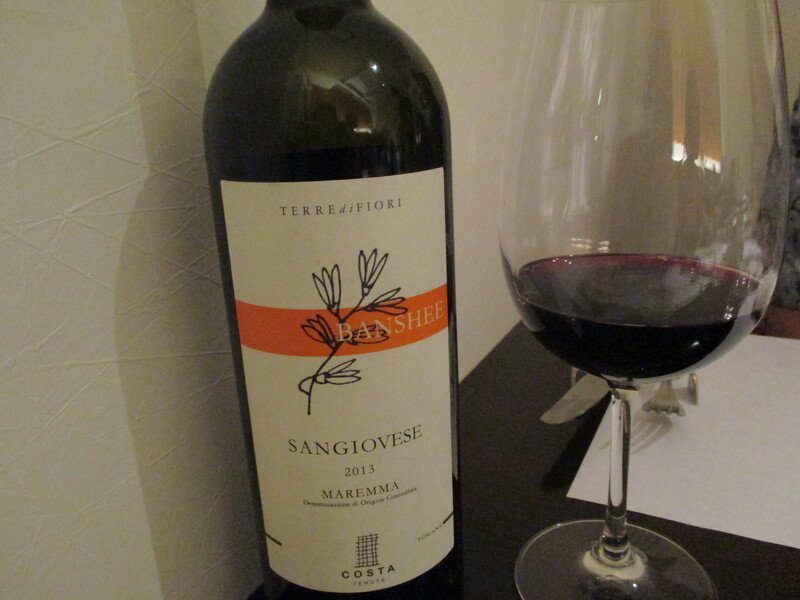 Created with Sangiovese grapes grown in Maremma, Toscana! Vegetables all local and mainly organic, including three kinds of tuber! 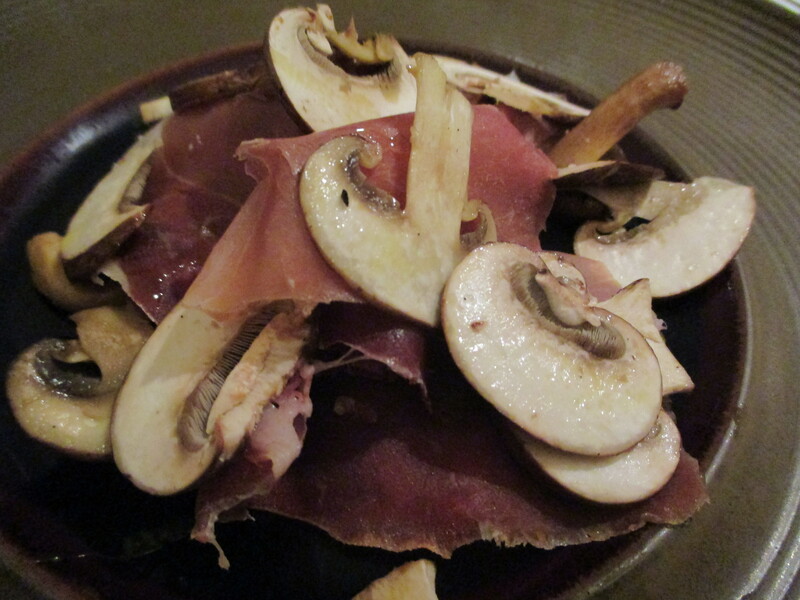 Succullent “minonegyuu” beef from animals bred at Hina Farm in Hamamatsu City! 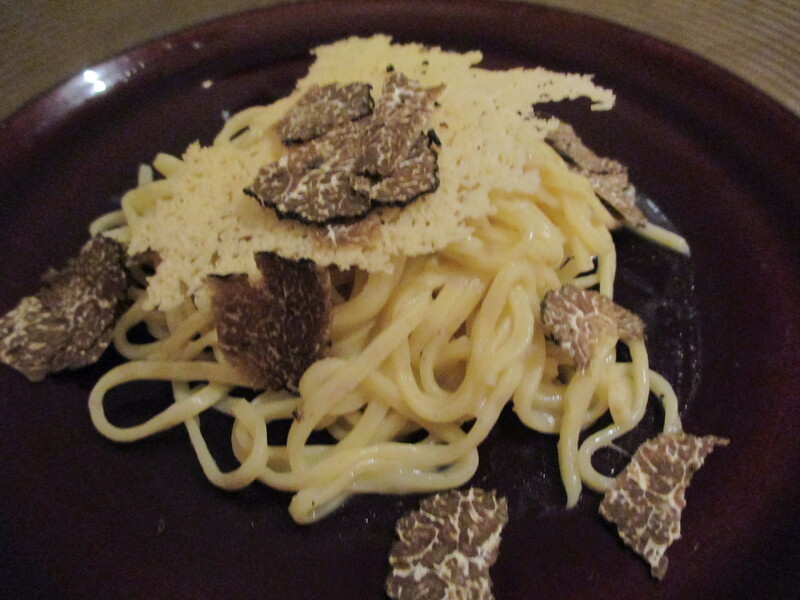 Masaru’s special pasta with fresh Piemonte black truffles! 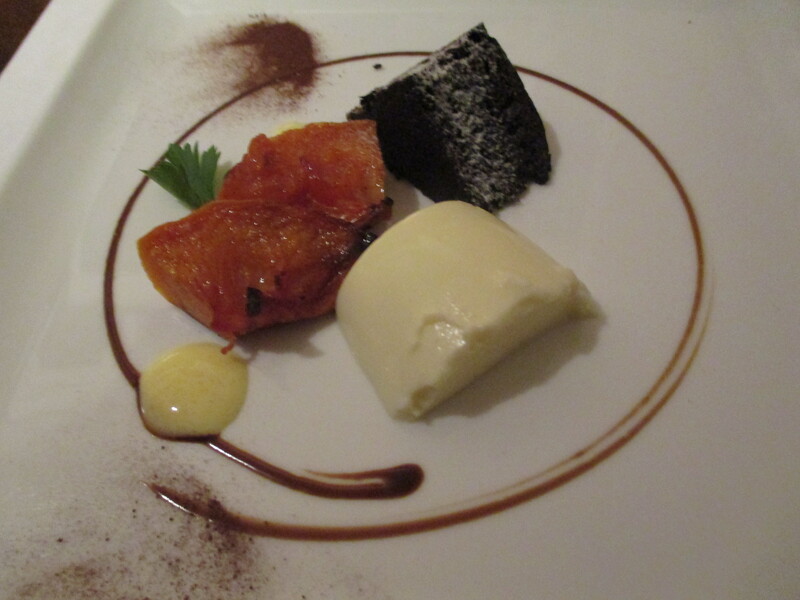 Masaru’s desserts are known all over town! 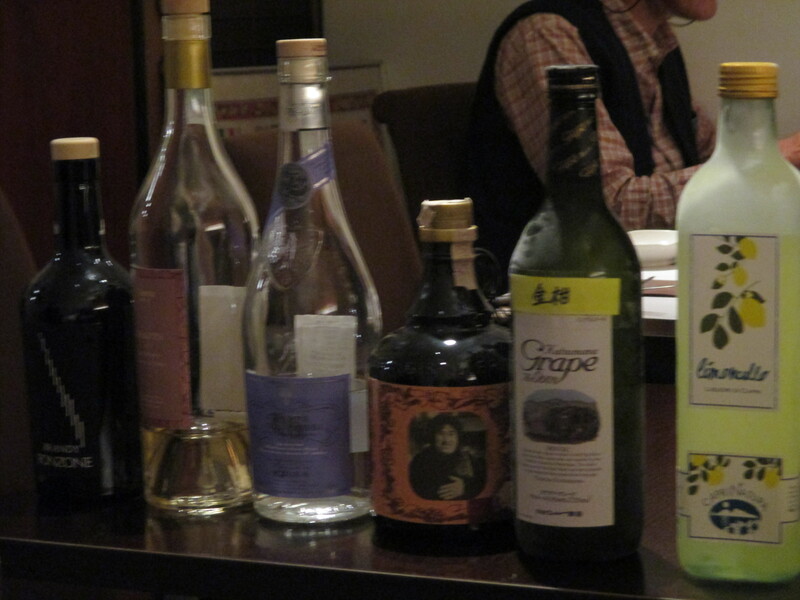 And don’t forget to check the impressive grappa and homemade liqueurs on offer! The beginning of a long love story!